Shangri-La’s Villingili Resort and Spa is the first luxury resort in the Maldives to be located south of the equator. Offering guests a stylish experience in a spacious, all-villa environment, the resort is surrounded by lush vegetation, including 17,000 coconut trees, and over six kilometres of picturesque coastline with nearly two kilometres of white-sand beaches. Stylishly furnished accommodation includes private ocean retreats and tropical tree house villas – unique to the Maldives – with superb views. 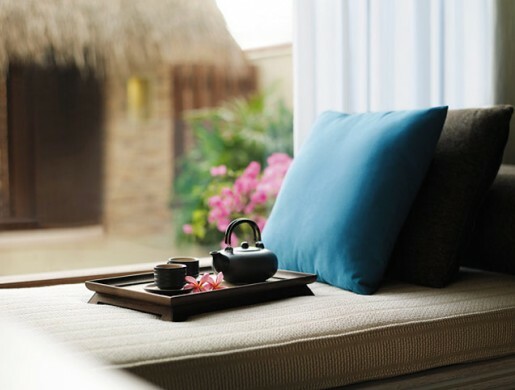 Guests can enjoy a tempting selection of dining and entertainment facilities, innovative treatments at CHI, The Spa at Shangri-La, and a variety of aquatic leisure activities, or explore by bicycle the five neighbouring islands connected by a 17-kilometre road. Those seeking an experience with a difference can enjoy a cruise on a luxury yacht with lunch on the equator. The resort is a 70-minute flight from Malé and an eight-minute boat ride from Gan Airport on Addu Atoll. Pool Villa – Surrounded by lush forest and views of the beach through tropical foliage, Pool Villa guests would be forgiven for imagining themselves happily marooned in a forest in the middle of the Indian Ocean. 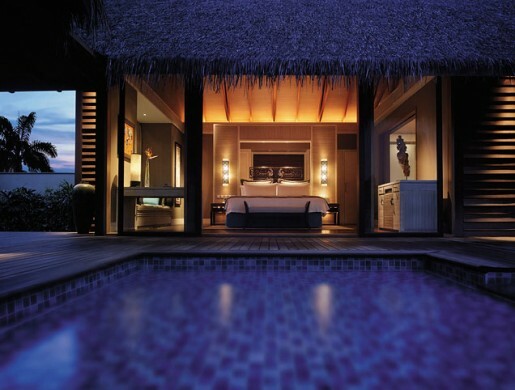 The luxury resort’s 133-square-metre Pool Villas overlook Shangri-La’s Villingili Resort and Spa’s lush vegetation, and feature their own private pool, terrace and open-air shower. Guests at these intimate Pool Villas can enjoy ocean views from the comfort of their bed, catch up on their reading or relax on a day bed on the patio or terrace. Contemporary Asian design, with Middle Eastern and Indian touches. Complimentary broadband Internet access, 40-inch LCD TV, a Bose DVD player, two iPods and docking station. Luxurious oval bathtub, indoor and open-air showers and his and hers vanity counters. Pool Villa area is 133sqm/1,432sqft. Beach Villa – Luxurious Beach Villas provide a private haven in splendid isolation on a white-sand beach. Set over two separate pavilions, to one side is a living pavilion, and on the other the bedroom pavilion. Entry is via a thatched-roof entry gate to a landscaped courtyard leading to the rustic timber door of the villa’s entrance. 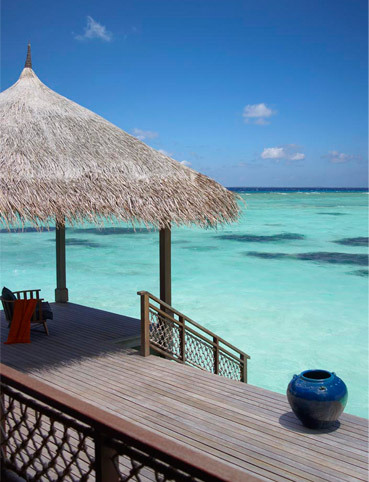 Every Beach Villa features a private terrace leading to the beach. Contemporary Asian design with Middle Eastern and Indian touches. Luxurious oval bathtub, indoor and open-air showers, his and hers vanity counters. Beach Villa area is 189sqm/2,034sqft. As you laze in your Water Villa on a brilliant tropical afternoon, enjoy the subtle breeze as you reflect upon the distant horizon, where the azure waters meet a sapphire-coloured sky. Built on stilts in the resort’s lagoon and connected to the island by a timber walkway, each Water Villa has an open and airy atmosphere. Access to this private haven is via a walkway over turquoise water that teems with marine life. Imbued with elements of the Middle East and touches of India, located in the resort’s lagoon. Luxurious oval bathtub and open-air shower. Water Villa area is 166sqm/1,787sqft. 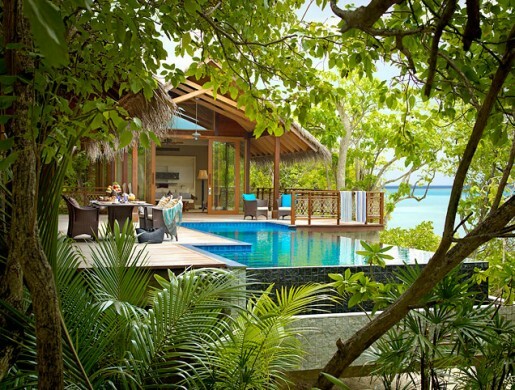 Tree House Villa – With marvellous views of the ocean, Tree House Villas are secluded, private island hideaways. Perched on stilts among the treetops, amidst dense vegetation, these luxury accommodations provide guests with a memorable stay in a tropical tree house. At this elevation, privacy is assured as the beautiful, panoramic views unfold like a living canvas of sparkling surf, languid lagoons and verdant vegetation that is home to colourful indigenous bird life. Luxuriously infused with elements of the Middle East and touches of India, perched on stilts three metres above ground with sensational views over the Indian Ocean. Tree House Villa area 218sqm/2,347sqft. Twin Beach Villa – Relax in the spaciousness of one of 10 Twin Beach Villas. These luxurious and tastefully decorated villas are located adjacent to one another, making them ideal for families or travelling companions wanting both privacy and proximity. The Twin Beach Villas are set in beautiful grounds and share a large patio and sun deck, complete with an infinity pool. Traditional and contemporary Middle East and Asian-themed furnishings and decor create a light and airy feel, blurring the distinction between indoors and outdoors. Twin Beach Villa area is 224sqm/2,411sqft. Like a pearl in its own oyster, Villa Muthee nestles in its own luxurious environment. From the choicest of decor to the stunning seascapes that surround it, Villa Muthee promises a truly sensational experience. The only one of its kind at Shangri-La’s Villingili Resort and Spa, Villa Muthee is appropriately named. Muthee, which means ‘pearl’ in the local Dhivehi language, is a villa for those craving sanctuary from the fast-paced world in an ambience that offers stunning vistas and absolutely everything necessary for a perfect getaway. Incorporating Eastern influences like Lipao teak with mother-of-pearl accents and other customized furnishings, Villa Muthee exudes a tropical contemporary style. Spacious bathroom with its own walk-in wardrobe, dressing area and his and hers vanity counters, and a spa pavilion. Villa Muthee area is 570sqm/6,135sqft. Villa Laalu – Spacious, stylish and thoughtfully designed, Villa Laalu is the jewel in the resort’s crown, with two large, high-ceilinged bedrooms, an extensive garden and everything the discerning guest could possibly require. Round-the-clock, in-villa dining can be enjoyed in the living room with timber-decked verandahs, or in air-conditioned or al fresco dining pavilions. Carefully selected artworks are on display throughout this exquisite villa, together with precious, high-end Asian artefacts, sculptures and urns from Indonesia, Sri Lanka and Thailand. The tastefully appointed master bathroom brings the outdoors within. A luxurious tub for two is raised from the floor on textured stone, with an adjacent cascading water feature and a spa pavilion. Villa Laalu area is 957sqm/10,301sqft.